The attraction of South West England for many is the beaches of Cornwall, Dorset and Devon. But lets not forget one of the most impressive citys of this area - Bath, Known for its restorative wonders and now a World Heritage Site, it's simply breathtaking. 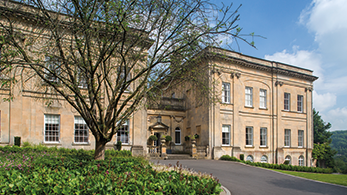 Bathe in the beauty of Bath with a stay at one of only two Grade II listed hotels in the city. Located on the outskirts of Bath, Bailbrook House is set in 20 acres of private grounds and is less than two miles from the city centre. 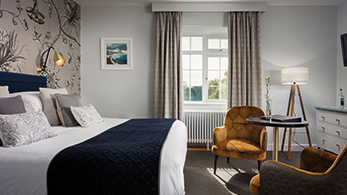 On a quiet bend of the Helford River nestles the award-winning 4 star Budock Vean Hotel. Set in 65 acres of glorious gardens, woodland with its own golf course. The hotel’s on site Natural Health Spa is a sanctuary for rest and relaxation with an innovative menu of seasonal spa treatments. LEGO, the LEGO logo, the Brick and Knob configurations, the Minifigure, DUPLO and LEGOLAND are trademarks of the LEGO Group. ©2019 The LEGO Group.